This stunning Cab shows intense plum, cassis and dark chocolate flavors, with hints of the characteristic minty showing. The likely source of the “mint” character is attributed to the airborne transfer from Eucalyptus trees, which border this specific Cabernet Sauvignon Vineyard, to the grape berries. It is believed that the berries outer wax layer could adsorb Eucalyptol, a compound responsible for the aroma, released into the air by the trees. It subsequently becomes dissolved during the fermentation process, which takes place on the skins, inevitably giving the wine a “minty” character unique to this vineyard. De-stalked, hand sorting of berries, crushed, pumped into a stainless steel fermenter, pumped over for 10 days, left for 6 days before pressing, racked to barrel for malolactic fermentation. Wood maturation - 18 months in barrel. 40% new French oak, balance in older barrels. From Anonymous of Great Falls, Virginia on 10/28/2018 . From David House of Falmouth, Massachusetts on 7/24/2018 . 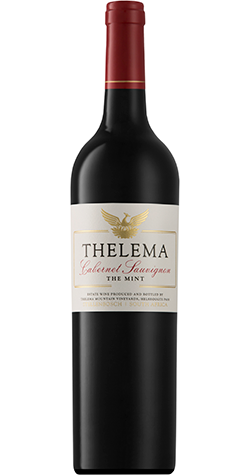 The combination of mint and Cabernet Sauvignon sounds a little odd, but is delicious. Full bodied, enough acid to cut the fat in a lamb dish, excellent with braised lamb shank. Mint is just enough so you know it's there, a tiny bit on the nose and a little on the palate. Great value for the price. From Anonymous of Los Angeles, California on 7/11/2018 .